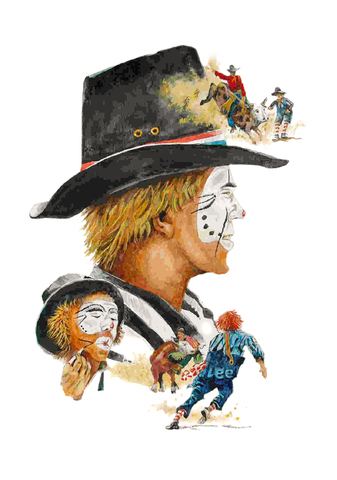 If we had to name a single rodeo personality who plays a critical role, it’s the professional rodeo clown. Each one has designed a unique look in facial makeup and clothing. Bring on them bulls! !.